Texas – A recent study from Baylor University’s Hankamer School of Business suggests that partner phone snubbing, or phubbing, could be the main factor sabotaging romantic relationships in modern days and also a great source of depression. The term Phubbing has been created by Baylor University researchers to describe, “The extent to which people use or are distracted by their cellphones while in the company of their relationship partners,” and it was found to be closely related to conflicts between people in relationships and low levels of relationship satisfaction. “Something as common as cellphone use can undermine the bedrock of our happiness, our relationships with our romantic partners,” said James A. Roberts, professor of marketing, in the study published at in the journal Computers in Human Behavior. 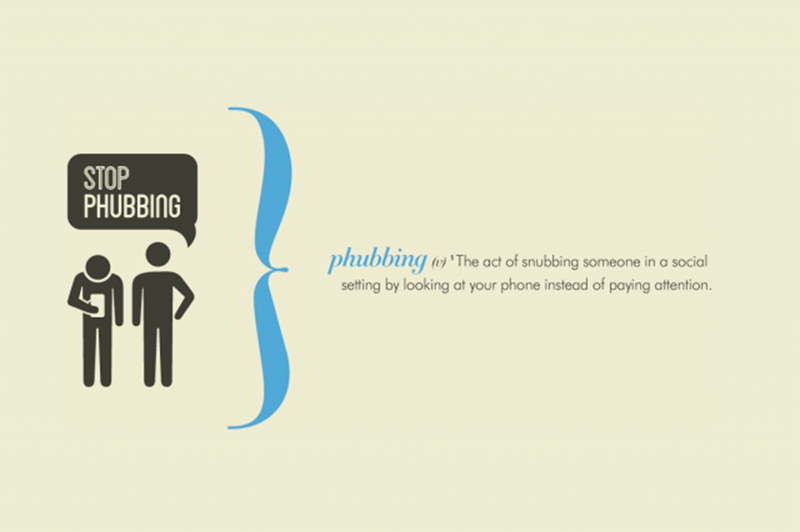 For their study, researchers conducted two separate surveys, accounting for a total of 453 adults in the U.S., to obtain feedback on how phubbing impacted relationships. The participants would analyze the behavior of their partner while in a social setting and later would answer a questionnaire to elaborate on how cell phone usage impacted their experience. “What we discovered was that when someone perceived that their partner phubbed them, this created conflict and led to lower levels of reported relationship satisfaction […] These lower levels of relationship satisfaction, in turn, led to lower levels of life satisfaction and, ultimately, higher levels of depression,” Roberts explained. The second survey of 145 adults measured phubbing among romantic couples, by asking couples to respond to the nine-item scale developed in the first survey. Results showed that 46.3 percent of the respondents reported being phubbed by their partner, 22.6 percent said this phubbing caused conflict in their relationships and 36.6 percent reported feeling depressed at least some of the time. Meredith David, co-author of the study, stated that people underestimate the impact cell phone usage on their relationships, blowing it off as “not a big deal” and on the opposite, the study illustrates, with only 32 percent of respondents feeling satisfied with their relationship, on the negative consequences of mobile technology and suggests that for some people the need to connect online is depreciating the need to connect with the people around us. However, Coca-Cola did it again.